With so much going on in the area for the holidays we try to get out to as many holiday events as we possibly can. There’s plenty to see and do around Wilmington that you won’t want to miss out on. We’ll share with you just a few of them here. Remember — if you’re spending any part of this year’s holiday season on the Brunswick Islands be sure to check out the affordable vacation rentals that we have available. This year’s holiday festivities in Wilmington include the 11th Annual Polar Express Holiday Show at the Wilmington Railroad Museum, 505 Nutt St., Wilmington, NC. 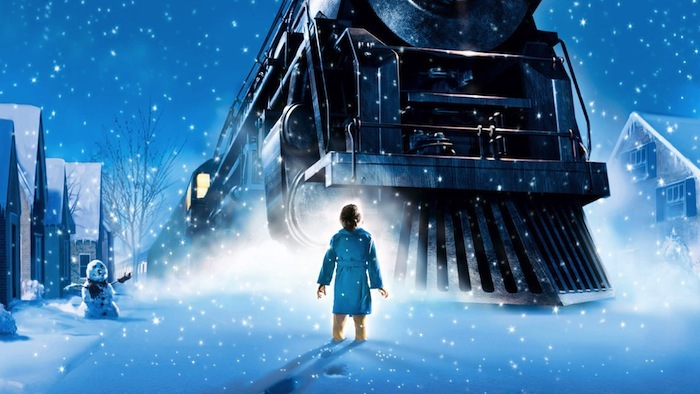 Come enjoy a special reading of the “Polar Express” story, a visit from Santa Claus, hot cocoa and more. Shows are Saturdays and Sundays, Dec. 12-13 and Dec. 19-20 at 4:30 and 5:30 p.m. Just $5 per person, children under age 2 admitted free. Prepaid reservations are required. Call 763-2634 for more information.. The Railroad Museum also has The Christmas Train and Light Spectacular going on every weekend through Dec. 27. The museum lights up their model railroads for night viewing under thousands of holiday lights. This light show takes place every Friday and Saturday evening from 6:30-8 p.m. A one-of-a-kind show not to be missed, it costs just $5 per person. New train displays and over 2,000 additional lights have been added this year. A concert featuring carols by the Wilmington Boys Choir and selections from Handel’s Messiah by the choir of St. Paul’s, soloists and chamber orchestra. A Sparkling Chocolate Reception will follow. $25 per person. A jazz cabaret performance by Al DiMarco. Includes an appetizer and beverage reception. $25 per person. The Wilmington Boys Choir will perform “Christmas by Candlelight” –a collection of carols and holiday classics. Contact St. Paul’s Episcopal Church at spechurch.com or 910-762-4578. Tickets are available online. All of us at Brunswickland Realty would like to wish you and your family a delightful holiday season!